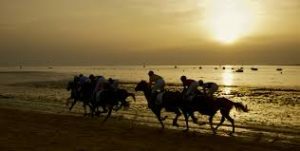 Every August since 1845, Sanlucar is noted for its Professional Horse Racing which takes place on an 1800metre stretch of beach. 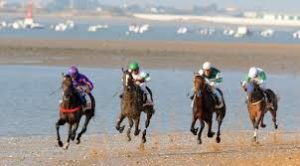 Today these races have evolved into a professional and international event, boasting spectator stands, bookies, paddocks and the winners enclosure. 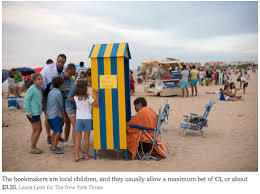 This is a fun family evening out, where children dress up as totes, taking bets in cash and paying out in sweets. Professional Horse Racing with a difference! 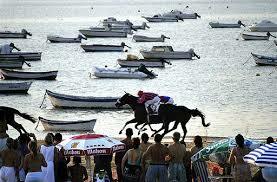 These are evening races that generally start around 6.30. Final details to be confirmed nearer the time. 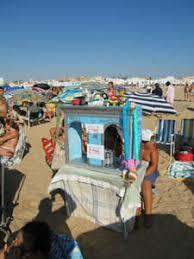 Pick ups from Torremolinos, Benalmadena, Fuengirola, La Cala times and points to be arranged.